Surrounded by beautiful nature, Kasama and Mashiko is an area with living culture that has cultivated its creativity. 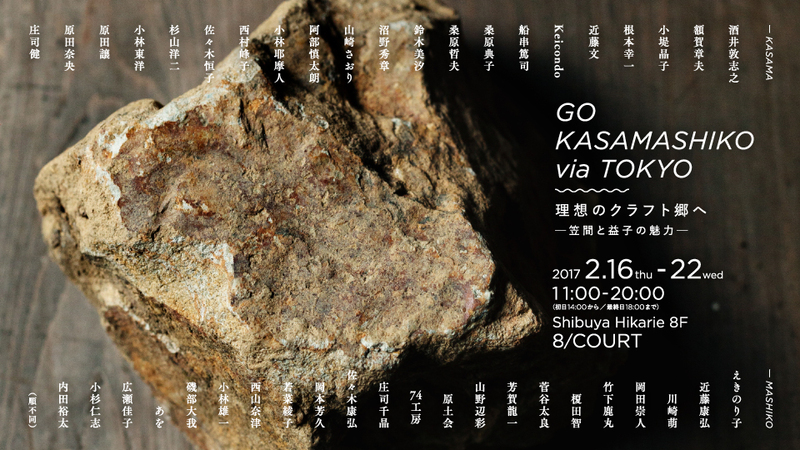 GO KASAMASHIKO via TOKYO is a cultural event that you can get to know the area acknowledged as a pottery producing district and sense its attraction. In Creative Space 8/, over 40 potters’ works are showcased with unique installation and a workshop event of flower and vessel is also held. In conjunction of the event, some shops take part in the event and sell Kasama and Mashiko products to promote their rich culture.